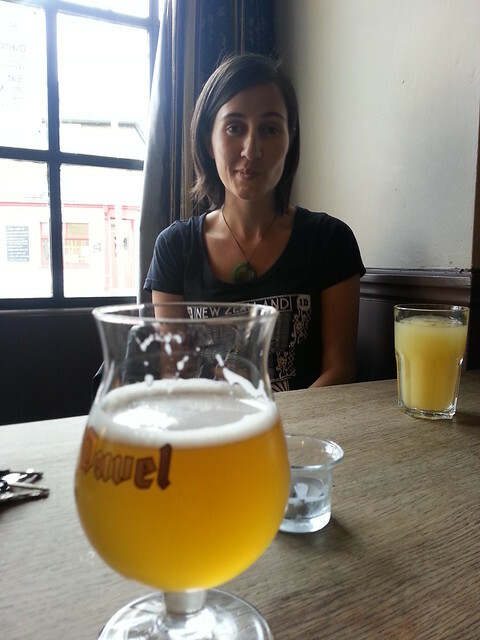 When we moved to Cambridge, we noted that there were 92 pubs in Cambridge and we aspired to visit every pub in Cambridge. Well, we had a good crack at it, but we were unsuccessful in our mission. We ended up 14 pubs short of the full list. Drat! Still, we visited plenty of wonderful pubs, and here are some of the last ones we visited. This pub is down next to the river Cam next to some of the amazing colleges in Cambridge. Most people don’t actually sit in the pub in summer – they buy their beer or cider and walk it outside to the meadow to drink with some lunch. We had a lovely afternoon watching the punter bobble on by. The Green Man in Trumpington do a fantastic Sunday roast, with Yorkshire puddings and everything – bookings required! 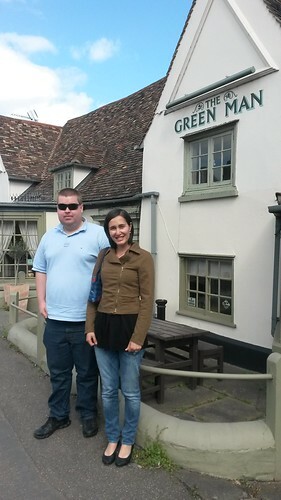 We treated ourselves to long lunch one Sunday with our Aussie friend, Michael, in this busy bustling family pub. 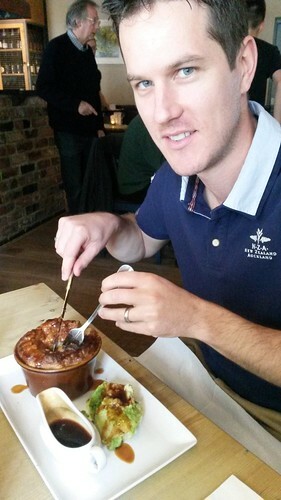 Rob decided to forego the roast for a pie which was delicious too. The open fire was toasty and warm! The pub used to be called The First and Last, but regardless of it’s name, it make *delicious* Thai food. British ale and spicy Thai food is a great combination, and one Rob and I absolutely love to consume! On this occasion, we were out for Mike’s birthday with a bunch of his and Michelle’s friends. Always a good time! We didn’t end up taking a picture in this pub, but we had a great night drinking with Rob’s soccer friend Garry and his girl Neassa. 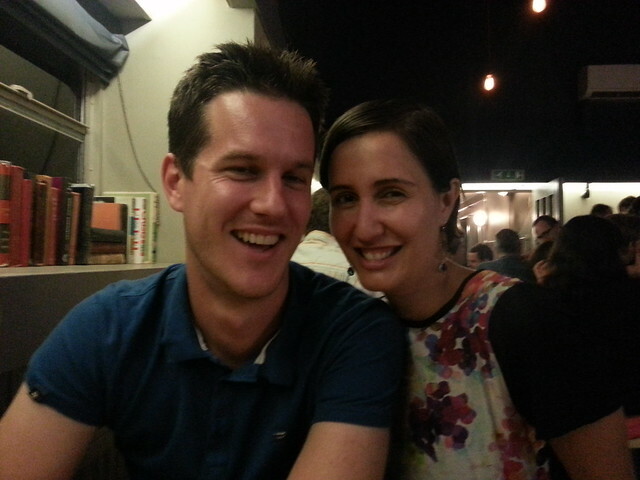 Garry and Neassa are from Ireland and are the loveliest pair, and they’ve been to many a pub with us over the years! 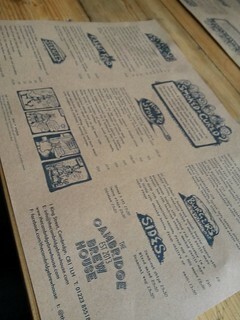 We had to check this pub out because it was owned by the same owners as one of our favourite pubs, The Cambridge Blue. The Blue Moon is much more low key than it’s busy big brother, but has a pool table and well kept ale, so we couldn’t really complain. 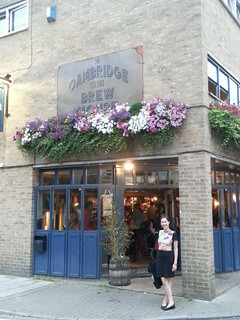 In the last year we were in Cambridge, a new more modern pub opened in town – The Cambridge Brew House. It was half way between a pub and a bar, though only beers were served here! 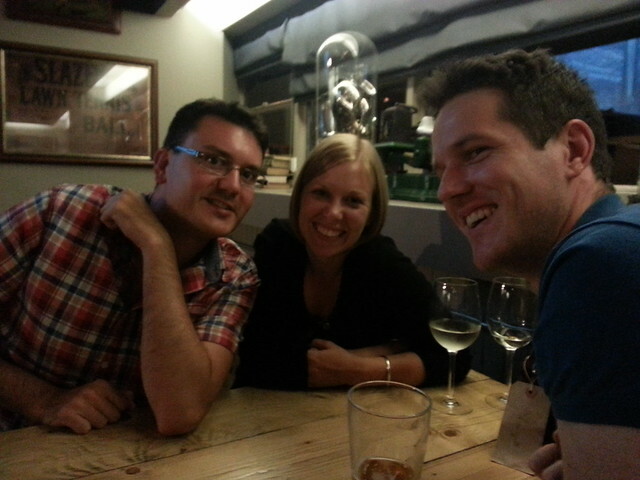 On this night, we were out catching up with our lovely friends Matt and Rachel. They were still glowing in their recent engagement (they’re married now – congrats you two!). Champion of the Thames – Part of the King Street Run, this low ceiling, very local pub in town has a great selection of ales. 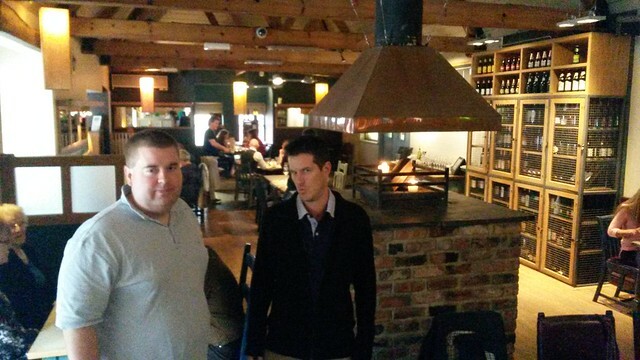 County Arms: Went for lunch and a drink after hockey with the team one time, and was quite unimpressed with food. Jolly Waterman: A pub near Rob’s work which he visited often, this pub served Chinese food, like dumplings and such, but tended to be a bit quiet. Maybe it was a bigger dinner place than lunch. The Anchor: A pub in town next to the river Cam and surrounded by the historic colleges. It’s a common one for tourists to visit because it’s right next to a popular punt hire spot! The Boat House: A quirky little pub on the riverside of the Cam near Rob’s work. 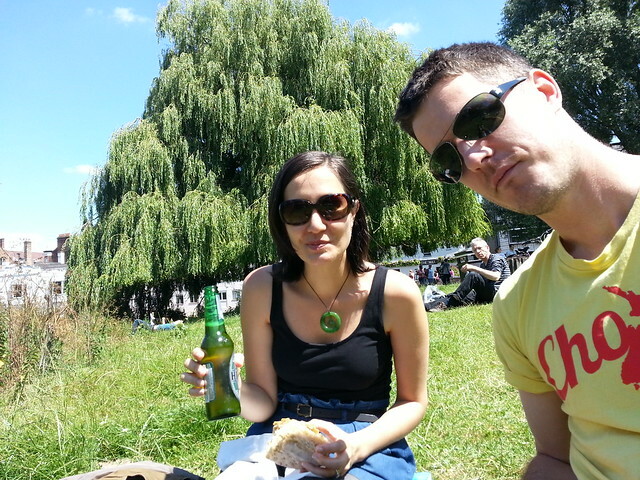 Reasonable food and beer, but you’re really there for the view. The Castle: A no fuss pub that serves curry. Rob visited it on a pub crawl, so didn’t actually spend much time there! The Granta: We only stopped in for a quick pint, but it’s a beautiful riverside pub where you can watch the punts bobble on by. The Green Dragon: Another riverside pub, fairly low key, but not highly memorable. 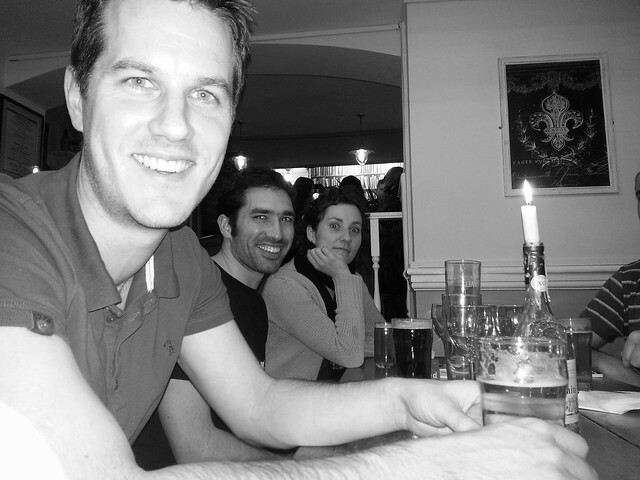 The King Street Run: Rob had one beer so he could say he’d been there, but was a bit sh*t (Rob’s words). 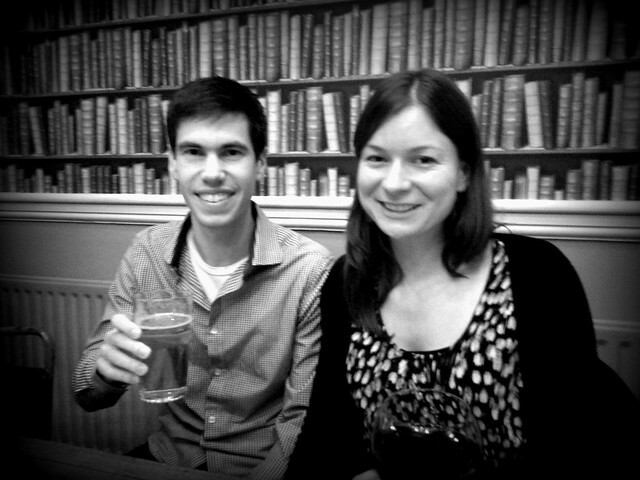 The Mitre: A tiny cosy pokey little pub in town with great food! I think it’s been renamed now, but was lovely when we went. The Old Spring: Another one near Rob’s work, it was more of an upper class pub with higher quality food. The Portland Arms: Another pub near Rob’s work, this one had good reliable food and great live bands after work! The Sir Isaac Newton: Another pub Rob visited on a pub crawl, so he can’t remember anything about it. It was nice – he thinks. The Tivoli: A Weatherspoons pub with a consistent menu, but no riverside views. So that’s it! 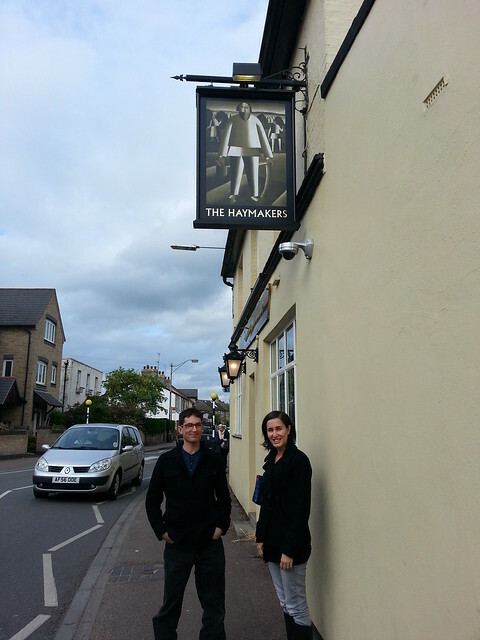 It puts us about 14 pubs shy of seeing every pub. We got very very close! 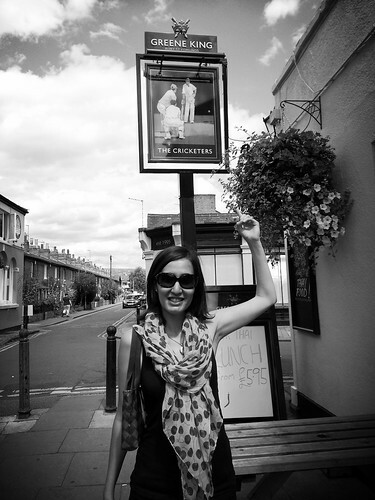 Next up, we’ll post our favourite Cambridge pubs, of which there are a few!